Offering design appeal and privacy, block windows have been used in homes and commercial projects for more than a century. What started as the inclusion of heavy true glass block windows has evolved over the years to the embracement of lighter-weight acrylic block windows. Both have their place in today’s market, but which one is right for you? 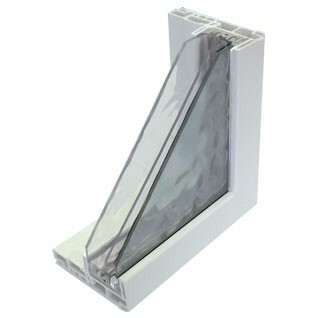 “True glass blocks are now used primarily for basement windows in homes and to create large showpiece walls in commercial projects,” says Roger Murphy, president of Hy-Lite, a U.S. Block Windows Company. “Both glass and acrylic block windows are frequently installed in bathroom applications to give people ultimate privacy in the home. 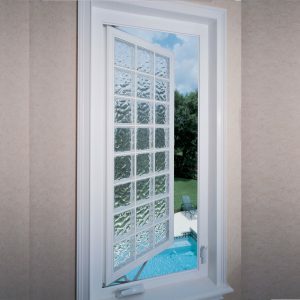 Murphy relates that, while acrylic block windows lead the sales for his company, there are definitely pockets across the country where glass block windows are preferred. “The Southwest — and Texas in particular — are strong glass block markets due to traditional builder and homebuyer style preferences in those locations,” says Murphy. “We also find that builders in the Northeast install a large number of true glass block windows in traditional basement applications. Hy-Lite, a U.S. Block Windows Company, is the leading manufacturer of acrylic block, glass block and decorative glass windows. The company’s privacy product options include acrylic block shutters, accent panels, radius walls, partition walls and door inserts. Since 1988, the Pensacola, Florida-based company has been committed to providing residential and commercial construction professionals and homeowners with elegant, affordable privacy window designs. 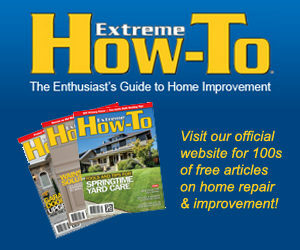 For more information, visit www.hy-lite.com.